I spent most of time eating Chinese food and I did not know these vegetable rolls are so delicious until I opened this restaurant. Also you don't want to miss our special dipping sauce, do you? Each order has two small rolls and as the owner, I think they are small too but they are so good. Delicacy could be the word here. Most loved by our customers, perfect peanut sauce on five home made wontons. Myself is addictive to it even it's totally North American. By the way, as born in China, most times I prefer real authentic Chinese food over the North American version. Warning: This one is really sweet. For me, this dish is really well made. The subtle balance of the flavor is perfect. To be honest, when I first tasted this dish from our chef I started having total confidence on him even I only knew him for a few days when we opened our restaurant. But this one is only for those who appreciate real authentic Chinese food. PS: no extra sauce is needed in case you are asking (remember it's perfectly balanced?). The Chinese name of this dish is called "tiger's vegetable", I don't know why it's called that name. A lot of Chinese people know this dish but I don't, maybe I am not so Chinese. it's basically the mix of green pepper julienne and cucumber julienne. It's refreshing, good for the people like eating healthy and green. For for me I still like twice cook pork, full of flavor. Really simple, really good, recommend to have one plate while you are waiting for your plates. It's full of flavors and totally worth it. It's NOT the bright greenish Japanese seaweed salad (which I like too). Our seaweed salad has some tougher characters in it also some beauty as well. Not an easy job to describe it with my English as a second language, I guess you get the gist of it anyway, right? This is a very special dish, liked by some and disliked by some more. You need to like real authentic Chinese food to like this. Some adventurous customers may leave the plate full because of the weird texture. I would recommend you to try this one after you have some of our authentic Chinese dishes first. This appetizer is prepared by myself and it's a secret recipe shared by my friend who is from ChengDu, Sichuan. I know this friend for almost 10 years and only found out he is a Sichuan food master recently. After seeing our first restaurant at CDN destroyed by a fire, he came to me to offer his secret recipes which he had so much confidence to make our restaurant very popular among Chinese customers. He showed me how to make this plate step by step. From now on, I call him Shifu like KungFu Panda. this one is a cold plate which gives you numbness from the Sichuan peppercorn. A lot of chili oil too. A bonus is it does NOT have bones. I recommend everyone to try this. QianZhang is translated thousands of layers. It's a big sheet made of Tofu and it's magical that Chinese people can make so many different food using soy beans. We cut QianZhang sheets into thin julienne. This plate is very tasty and healthy and it's widely accepted. Totally recommend this one. Again, this dish is very well-known and we are not 100% satisfied with the flavor now and it will get better really soon. PS. I am surprised that some customers still order this plate. In my opinion, our Sichuan Pepper Chicken Salad is better than this one. Spicy and tasty, no meat, drink slowly to avoid hiccups. Three wontons in every bowl, pork, home made, everybody loves this soup at AuntDai. So famous in the three North-eastern provinces. great balance of flavors. I always like this one when I don't feel like eating any plate with meat. If you like eggplant dish this one is a good choice. It's more on the flavorful side. We used to put a little bit ground pork in it but we had to remind customers of that and recently we decided not to add pork so it's more acceptable and saved a lot of time for our waitresses. This plate is little bit close to the DiSanXian (eggplant, potato and bell pepper). Try not to order them together. Simply like it, green beans, healthy, good flavor. Lotus root is very popular ingredient in Chinese cuisine. Crispy and healthy. I am nostalgic about this plate from my childhood's memory. Unfortunately our version is different from what I used to have because in restaurant we just could not give it enough wok time. Anyway, it's a good choice for vegetable. This is a very light plate with non-fried Tofu, I always recommend this one if they want a Tofu plate not being spicy. Not be scared by the word "mustard", it has nothing to the mustard flavor we know. It's almost good to everybody. This plate will show you how Chinese cuisine can do with our beloved potato outside of French fries, mash potato, chips. This potato Julian dish is very very popular in China. A lot of vegetable, oyster sauce flavor. Myself, I prefer the garlic sauce flavor. Maybe because garlic is more vegetarian than the oyster sauce. When you want a plate full of vegetable, go with this one. I like only broccoli with garlic sauce. This plate was added to our menu after so many our Chinese customers called for the addition. And it's loved by almost everybody now. Simple yet tasty, not spicy. This is the authentic Yangzhou fried rice, it contains pork, shrimps, peas, carrots. It looks like Yang Zhou fried rice with Thai flavor. More than once, More than twice, our customers told me AuntDai has the best General Tao Chicken in Montreal. Hands half way down or 3 quarters way down maybe, I am no expert on North American Chinese food but I like our General Tao a lot, a lot more than what I would have thought. We use high quality chicken breast and our own special sauce. I am really proud we have this great dish even though deep down I hope all the items on our menu are authentic Chinese. Comparing to our General Tao Chicken, this one is not THAT good. Anyway, I am not big fan of North American Chinese food and it's your call. This one is North American Chinese food and I don't find it too special to my taste. I hear some good feedbacks on this one and you can try it tell me. I don't know why but peanut sauce chicken is liked by a lot of customers at AuntDai. Personally I don't like it since I like real authentic Chinese food. Customers like this one for its flavor and freshness. Don't let the name fool you, this one is NOT authentic Chinese food. True story, one customer got really mad because it's not so Chinese since he visited Sichuan China before. note: we removed "Sichuan" from the name when we updated the menu to avoid confusion. Still this dish is very tasty according to a lot of customers. Signature of this dish is some fried spinach leaves at the corner of the plate. This simple yet tasty dish is indeed authentic Chinese food. It's light, not spicy. It's a very safe and good choice for most people. Actually this plate is the anchor picture when CTV news voted Cuisine AuntDai as the best Chinese food in Montreal. Check out the CTV news video. This new addition of our menu is very spicy. Be careful of the green hot pepper, they are really hot. This is new on our menu, I did NOT have chance to try this one yet. According to a lot of customers, this one is very popular, I still don't have chance to taste it. Looks like I should spend more time eating in my own restaurant. This new dish on the menu is very spicy and very authentic. We were asked by a lot of die hard Chinese food lovers to add this plate and we finally made it. If you like spicy food and you love real Chinese food you may have good chance loving this plate. little little bit spicy, more flavor of cumin, very tasty. We used to have the beef pieces on small sticks but several customers cut their lips by it thinking it was some hard ingredient (They must have watches some shows about weird Chinese food). To avoid incidents like this, no more sticks. Some good infusion from the overly fried onion slices (which you can eat). This is one of my favorites in University and that version was sweet with tomato. Because of this dish, I gained at least five pounds but it gave me so much memory and so more. Again, this is not my version. I tasted only once to approve it's good but it's very different from my favorite version. Hope you guys will like it. I have not tasted this item yet but it's not easy to go wrong on this plate. I totally trust our chefs. please let me know if you are disappointed. This is one of my favorites on the menu, every time I eat in the restaurant, our kitchen staff would have this plate because they know I love this one unless we are really low on stock because a lot of customers love this dish as well. It's medium spicy and little bit oily because of the pork belly. 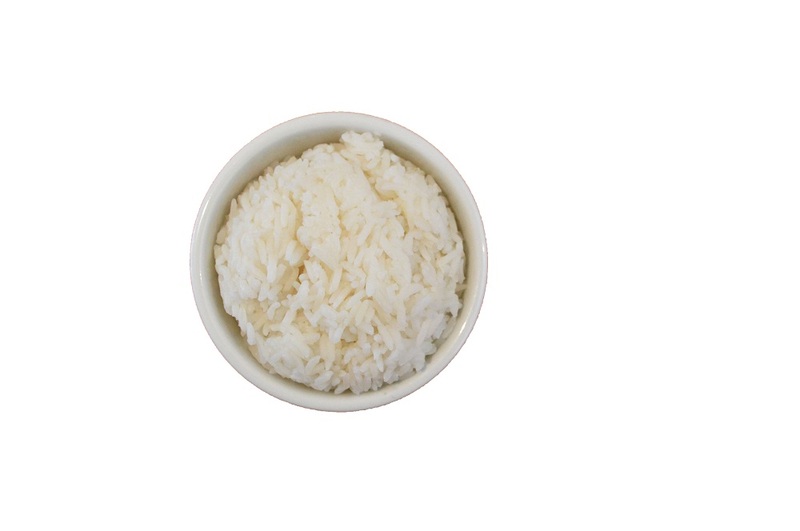 I can eat a lot of rice with HuiGuoRou and really clean the plat because even the sauce and small fallen meat pieces left on the place can help me get down one bowl of rice. This is a very popular dish among the customers who don't care its greasiness. The flavor is really rich and perfectly balanced. You almost want to sniff the tasty hot air above this beautiful dish. This dish is really hearty and you can eat a lot of bowls of rice with it (and the rice is 1.49 per person, free refill, very good for this one). So even you love it, you may not want to have it every time if you are watching your weight because you know you cannot stop if you have started on this one. This is the only reason I try to keep myself away from this plate. If you really want it, simply tell our waitress you want "Hong Shao Rou". I really like this one, the flavor is rich and perfect if you don't mind it's sweet. The meat is very tender and really easy to come off the short ribs. By the way, it's not spicy. recommend this. This is the number one choice dish ordered by Chinese customers across whole China according to an Internet survey and I totally believe that. When I was China and went to a restaurant, I always ordered this dish. It's so popular that it has so many different versions in China. Since I have so high expection on this dish, I am not a huge fan for our version to be honest. But don't get me wrong, the plate at our restaurant is very tasty too, it's just different from those where I went to university. This one is that kind of food, difficult to make, difficult to please customers. If you like it, you would appreciate it a lot. Anyway, it's little greasy from the pork belly, underneath, there is some preserved potherb. If you don't know this dish, try not to order this one unless you (lost of words here). First, we don't know how to translate the name, it's totally not "bacon". I rather call it in Chinese directly "La Rou", it means preserved meat. The pork belly is marinated for about a week and then hanged air dry for couple days, usually that's how to make "La Rou". After this process, we smoke the meat and it's home made. A friend of mine from Sichuan taught me how to make smoked "La Rou". And it's cooked with garlic stems and I happen to like both of them. So it's one of my favorites as well. But I don't eat it often since it takes a lot of my own time to make. I like to recommend this plate since it's so authentic but at the same time I don't want people order it without knowing it well and don't like it since it takes long time to make. Just be careful ordering this, it's like an upgraded version of twice cooked pork. After you like twice cooked port then you can try this one. It takes about two weeks to make a batch, so sometimes, it could be out of stock. PS: Due to the availability of the garlic stems, often times, we would use Chinese cabbage instead. Ingredients: Pork belly, garlic stems. Personally, I don't like plates with intestines and I tried not to eat them until we opened a new restaurant in Montreal downtown, so many people ask about this. As a business owner, sometimes you have to do something you may not like to do, kidding, I like this plate, recommend it even though I won't eat it often. PS. after having it several times, I really like this one. It's one of my new favorites now. If you don't try you never know what you have missed. The intestines are fried, it's kind of too dry. Compare to stir-fried pork intestine, I recommend the former one. PS. I changed my opinion now. I like both of them. We have a very popular dish called "sweet and sour spare ribs". Our customers still demand for more dishes of spare ribs. We come up with a light flavored version with bamboo shoots. It becomes a popular item right away I guess not everybody wants heavy flavors as myself. Spicy, sugary, soy sauce, vinega, I want to have them all together. Also customers tell me there is very little dry bamboo shoots in this plate and I agree. But you never know how expensive those dry bamboo shoots are, I guess its presence is only for its flavor and naming purpose. This is a special dish from northern China. The dry mushroom could taste weird if you are not familiar authentic Chinese food. Another reminder is that chicken meat has bones. But if you like non-spicy flavors this one will give you plenty. Update, we changed the wild dry mushroom with the regular mushroom. The reason for the change is the difficulty to get the wild dry mushroom and the quality control. So we change the name and it's still delicious. This is one of my favorites. The chicken is crispy outside and moisture inside with really spicy taste. It really shows how well our chefs master the temperature of the wok. I am really proud we have this dish done so well. I personally tried the same dish at many different Chinese restaurant in Montreal, I really believe we have the best. Warning: very spicy, chicken bones. One of most critical skills of Chinese cook is "Huo Hou"(my translation is the mastery of temperature and timing). You most probably would like this one if you like Spicy diced chicken, with bones, very spicy. You get some bonus of celeries and garlic cloves that have been dry heated from the hot casserole, they are delicious. Every time I would finish all of them. But don't eat the ginger though, I saw some folks eating the big ginger pieces, ouch. Kung Pao chicken is very well known not only in China but all over the world. There are so many versions of this dish as well. Our version has good amount of flavors from soy sauce, chili paste, fava bean paste, garlic, vinegar, sugar. Also we put some roasted peanuts on top. So far we get mixed feedbacks about this dish, most people love it while some may think it not authentic enough. This dish is from Taiwan. If you are ok with chicken bones you probably would love this one. Really tasty, flavor from soy sauce and cooking wine. By the way, this one is not spicy at all. This one is on my top 10 list. MaPo Tofu is a very well known dish in China. If you like really spicy food you always want to try this one. There are little bit beef in the dish. This plate is very popular in our restaurant for those who want some food not spicy. It has chicken, squid, shrimp, fried Tofu and some vegetable in a sizzling iron bowl. You won't get disappointed with this one. This plate is really spicy and very tasty too. You may experience the numbness of your lips from Sichuan peppercorn. When you feel like some crazy spicy food, you can try this one. It has pork, chicken, quid in it. So far, this plate is the most successful one at Cuisine AuntDai. The flavors are perfectly balanced and the lamb is so tender and juicy. the over boiled radish is so delicious. Only good for those who don't care about the lamb bones. Don't be fooled by the name, it's not very spicy, maximum medium spicy. It's very tasty but with relatively small potion the reason is that the big shrimp is very expensive. This dish is very popular among all customers especially those who don't eat too much real authentic Chinese food, this one is like the step stone for the real Chinese food lover. Also this one is not spicy at all which I guess is the main reason it's accepted so widely. Again the potion is not big cause of the price of the big shrimps. If you like very spicy food and in the mood for a shrimp dish, this is a perfect one for you. It has the similar flavor of dry wok chicken. The celery and garlic cloves are very tasty done by the dry heat, so you better not leave them alone, that's the essence of the dish. As the name indicates, it's mainly fish fillets and tomato sauce, like pasta with tomato sauce, it's a safe choice. No bones in the fish, if you like some good flavors with small fried fish fillet. The flavor is like crispy shrimp. You don't have to deal with shrimp shells with this one. The flavor is like spicy shrimp. You don't have to deal with shrimp tails with this one. This one is very popular among Chinese population. I really crave this one whenever I have the chance. In China, we most probably will use the fresh fish but due to the extreme high price, we can only use the frozen fish fillet. Anyway, it tastes good but be careful it's very spicy. Also, don't leave the bean sprouts,they are tasty. Squid with strong flavor from Satay sauce on an iron hot plate. It's a good plate and most importantly, it gives those who like squid a good choice. We don't have a lot of seafood dishes at Cuisine AuntDai after all. I really don't know if this plate has Satay sauce or not? It sounds like it's prepared for the customers who are afraid of sizzling hot plate and like a good squid dish. I need to try this dish one day after I am tired of having all those my favorites at Aunt Dai.